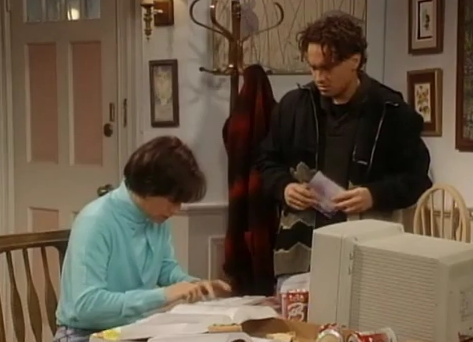 In the 1996 Roseanne episode titled ‘Construction Junction’, Jackie (played by Laurie Metcalf) is shown (hilariously) addicted to the internet. Watch in this clip as David (played by Johnny Galecki) recognizes her problem and intervenes by unplugging her computer. It’s an interesting contrast to the 1995 PSA we recently posted where those fifth graders from Montana’s Ray Bjork Elementary School predicted a much cheerier future of the internet.